SummitNaturalGasReplacingEquipmentinWatervilleFairfieldandMadison - Summit Utilities Inc.
Augusta, Maine (April 13, 2015) – Summit Natural Gas of Maine today announced plans to inspect and potentially replace equipment called “electro fusion tees” in Waterville, Fairfield, and Madison. 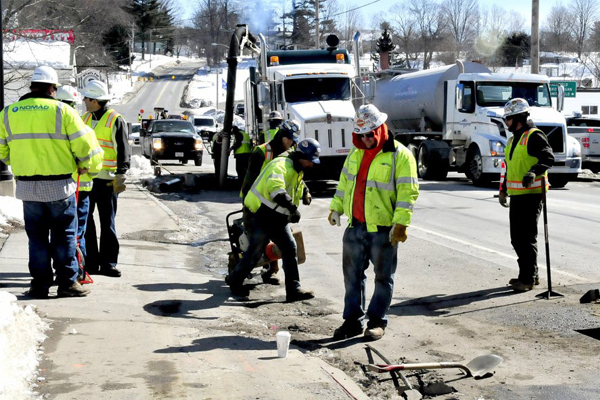 The company will be reaching out to all affected customers in advance to let them know when work is scheduled to take place, beginning this week in Waterville. Summit will be mailing a letter to all affected customers in advance of scheduled work, and will also call customers the day before work begins. The replacements will take approximately 8 to 12 hours in each location, and natural gas service will be turned off while the work is completed. Once work is complete, Summit crews will need to re-light each customer’s natural gas equipment. If a customer is not home at the time work is completed, the company will leave a door hanger with contact information and a representative will return the same day to re-light the equipment. These electro fusion tees are being replaced because Summit discovered that a contractor working for the company had used a tool improperly during the installation of the equipment. There is no immediate safety issue with the affected electro fusion tees and the replacements are being made to avoid any potential for future issues. Summit Natural Gas of Maine performs leak surveys on the system every 75 days and has been conducting those surveys even more frequently in the areas where there is a need to replace the electro fusion tees. Affected Customers will be contacted before work begins.